Quest Update: Victory on the Road of Trials! | Write Your Own Story! Quest Update: Victory on the Road of Trials! The purpose of this blog is to inspire readers and myself to embark on a Heroic Adventure, one that forces us out of our comfort zones and face new challenges, to emerge transformed. I thought my own Adventure was about writing, about pursuing a career in confabulation. And it is. But as my Quest continues, it’s becoming apparent that this is about much more. My story is developing into a Bildungsroman (coming-of-age story). You know, like Catcher in the Rye. 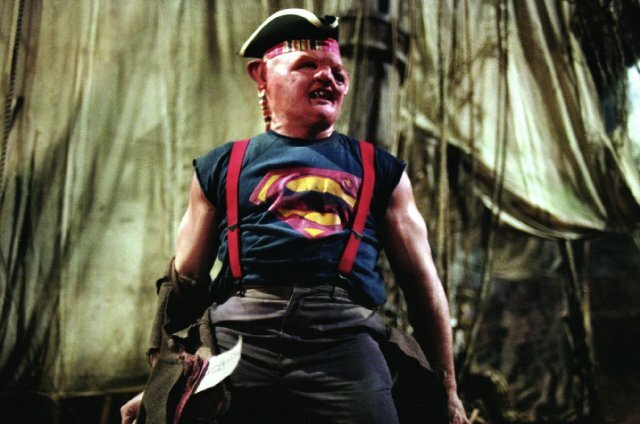 Or, for all you phonies out there, The Goonies. It just happens that I am 39 years old, not a semi-pubescent Protagonist. I guess, like many men of my generation, I have enjoyed a prolonged adolescence. As in, Judd Apatow really gets me. So, my Quest isn’t just about quitting my brain-liquifying job at the parking meter factory in order to become a professional storyteller. Although that would be great. I think it is also about becoming a better person, a better husband and father. All of this blogging about essential Heroic qualities has made me realize that I have some qualities that are quite unheroic. All Heroes, before they accept the Call to Adventure, have certain flaws that threaten to keep them from fulfilling their Destiny. Bilbo Baggins was too comfortable, too respectable, and too small to be Heroic before he began his Adventure in The Hobbit. And Luke Skywalker was the whiniest, most impatient would-be Jedi this side of Dagobah.For my part, I suffer from crippling bouts of pride, insecurity and procrastination. These attributes not only threaten my Aspirations, but they also negatively affect my family. As we embark on our Quests, we pass the Threshold and travel the Road of Trials into the Underworld. Often, it is during the most difficult trials that the Hero’s flaws are revealed. These challenges are perfect opportunities for purification and catharsis. And the Trials have come. I set a personal goal to enter the Industry Insider TV Pilot Contest with my writing partner; the submission was due June 15. Meanwhile, and at the same time, I was working 14 hour days on three multi-million dollar proposals for the Parking Meter Factory. All three were due on June 14. During the past week, I almost gave up several times. The contest was a luxury, I lectured myself. My job is the highest priority. It’s so easy to push your Dreams off to the margins, in favor of more “responsible” pursuits. But despite these and other pressures, I pushed myself to meet the contest deadline, working all-nighters to finish what had been started. In days past, I would have certainly used my ridiculous work schedule and other circumstances as excuses to quit. I wouldn’t say that I’ve been transformed yet. But I have battled to a decisive Victory, and that is cause for celebration. Heroes: What’s your fatal flaw? This entry was posted in Culture of the Possible, Quest Milestones, Storytelling Basics and tagged Coming of Age, Industry Insider TV Writing Contest. Bookmark the permalink.